One of the unique treasures in the Maryville University Archives is a telescope that is displayed in the Heritage Room. The telescope is a portable Brashear telescope and is one of 80 known to still exist. Maryville’s telescope is dated circa 1886–1895 but is presumed to have been bought secondhand for Maryville by Mother Kernaghan. Brashear telescopes have a contemporary following inspired not just by the telescopes, but also by the story of the telescope’s creator. The John A. Brashear Company’s roots trace back to John Brashear’s coal shed on the south side of Pittsburgh in the early 1880s. John Brashear worked at a rolling steel mill during the day and in his shed on a refracting lens (a lens used in telescopes and spyglasses for long focus) at night with his wife, Phoebe. After three years, he produced his first five-inch refracting lens, then went on to produce a 12-inch lens. During this time, he invented a process to silver the lens, the “Brashear process,” that became the standard for more than 50 years. After publishing his process in Scientific American and continuing to make lenses at night, Brashear received a grant to build his own workshop. Maryville’s Brashear telescope is three inches in diameter and has recently been added to a census of all Brashear portable telescopes left in the United States. The telescope is believed to have come to Maryville under the direction of Mother Kernaghan. Mother Kernaghan taught science at Maryville for almost 60 years and was the first woman to earn a doctorate from St. Louis University. The old Maryville campus on Meramec was situated high above the Mississippi River, an ideal place for stargazing. 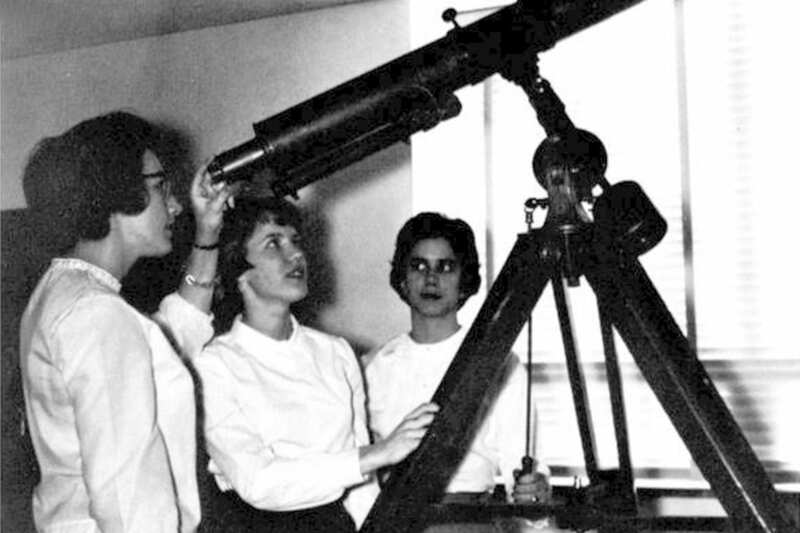 In the 1930s, the Science Club would learn new constellations and view astronomical slides before attending star gazing sessions with Mother Kernaghan after Holy Hour every First Thursday. In later years, the club made it a rule of thumb to show two films at each meeting with titles like: Exploring the Universe. The club was so active it even took a field trip to Famous Barr to see an atomic energy exhibit. 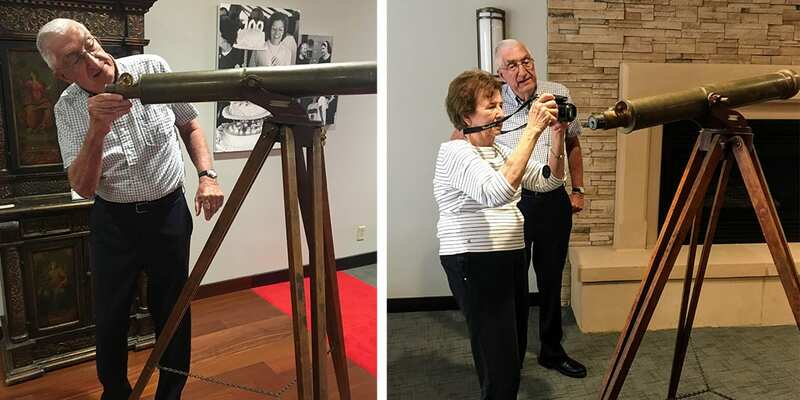 This past summer, Fran and Jim Debaun (’95) visited the Heritage Room to see Maryville’s Brashear telescope. 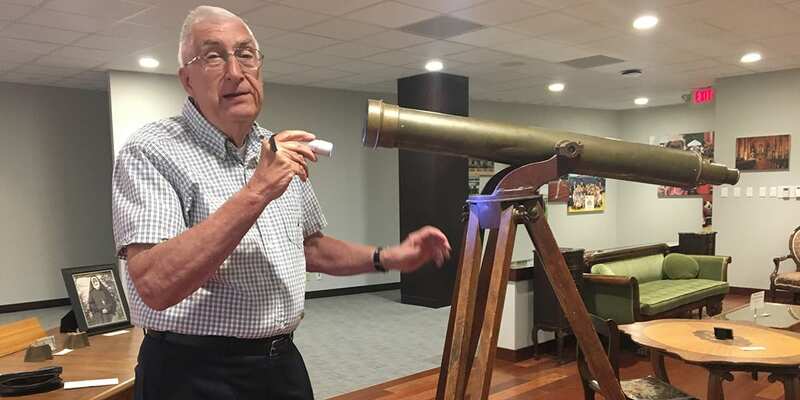 Jim measured the telescope lens’ diameter to help determine the exact year it was manufactured. Fran has accompanied Jim on several telescope adventures, serving as his photographer. The photographs and information Fran and Jim collected have entered a census of Brashear telescopes maintained by the Antique Telescope Society.